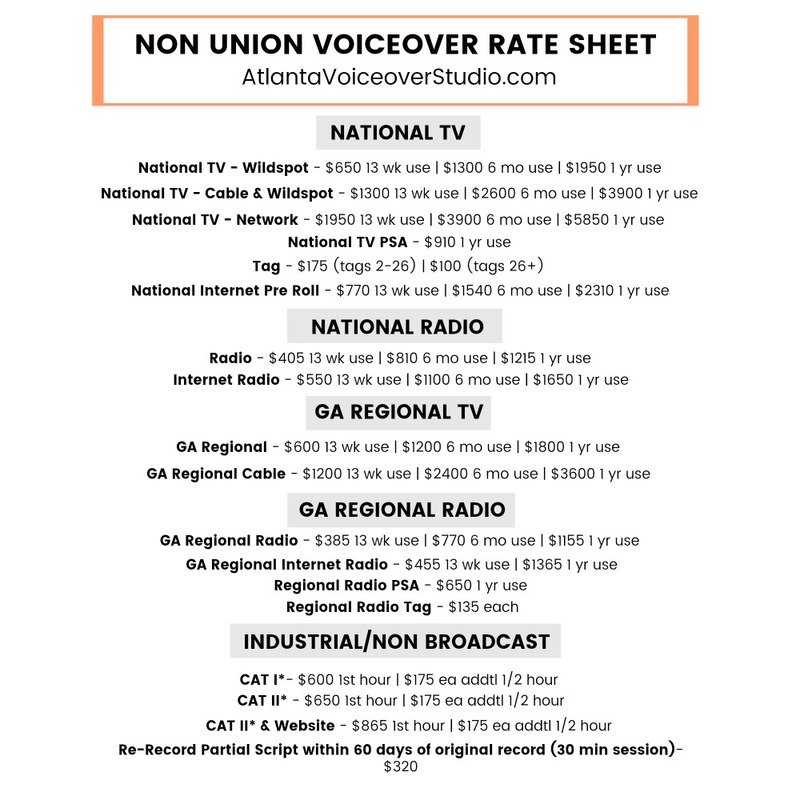 Something you’ll hear constantly floating around the VO world is “adhere to the VO rates.” But what ARE the “VO rates?” We wanted to provide you with an industry standard non-union voiceover rate sheet. When would you need to use this? It typically comes into play with pay to play (P2P) sites when you want to check the rate they post with what you should be getting or when you get your own work. What this rate sheet is NOT meant to do. It’s not meant to take agents out of the equation. Mike and I LOVE our agents! They work so hard and I would always rather have my agent involved than not. They’re there to protect you from being taken advantage of, which allows you to focus on being the talent. I’ve never had one issue with a VO job via my agents. Not with payment, not with time, not with arguing over rates…nothing. When I’ve taken jobs on my own, I’d say 85% of the time there’s some issue that comes up. The client thinks there’s unlimited revisions. You agree on a price then the client throws in an additional script and gets mad at you for not just including that under the original price. The client takes 6 months to pay. The list goes on and on. Agents are wonderful and truly make our jobs easier. However, there are times where my agents aren’t able to take on the project or I have a long-standing relationship with a client that would rather work with me directly. And for some talent, they’re still trying to get representation or get enough auditions to make a living so they have to find their own work. If that’s the case, having a standard voiceover rate sheet with protect YOU from being taken advantage of. This is not a comprehensive rate sheet and the regional rates are for Georgia, but it gives you a great starting point. 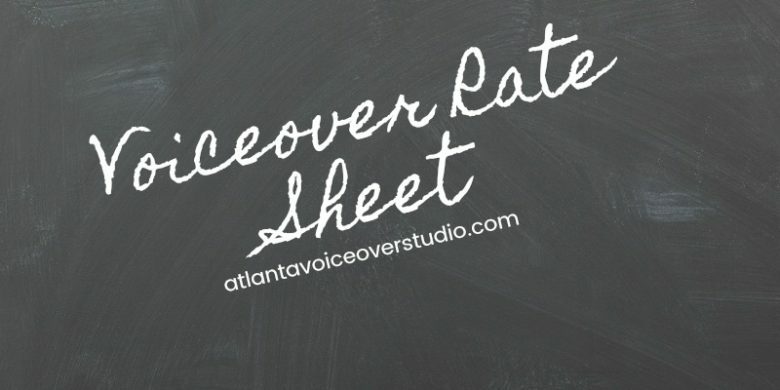 The Global Voice Academy offers a SUPER comprehensive rate sheet. You can find non-union and union rates as well. Check it out HERE. Save this rate sheet or bookmark the page so you can make sure you’re not being taken advantage of. The voiceover business takes a huge investment – money, time, training, etc. To “outsiders” it may seem easy but it’s not. It takes skill, a business mindset, and constant training to make a living in this industry. You deserve to be compensated according to the industry standard rates. 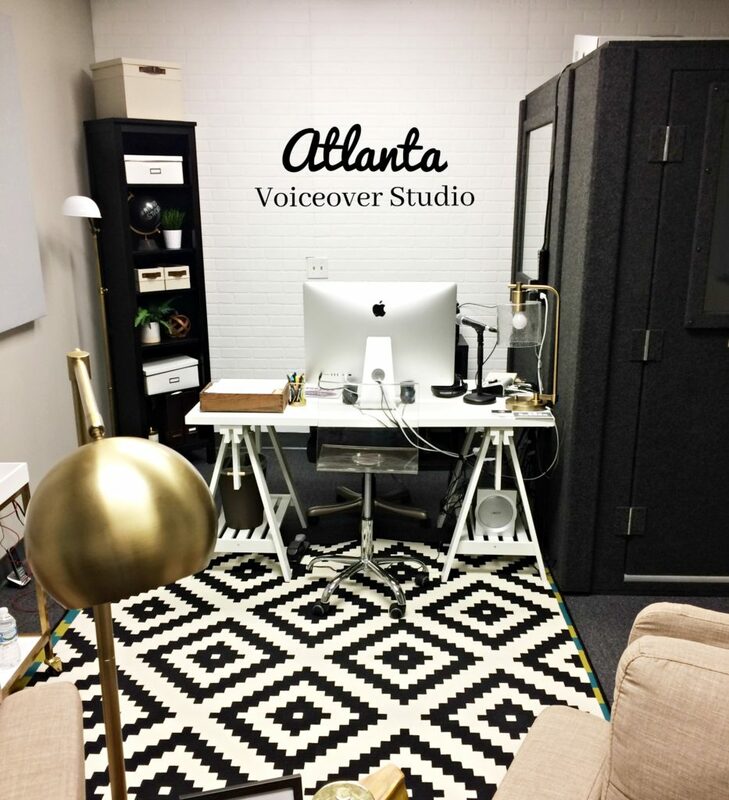 Atlanta Voiceover Studio has moved! Our previous space was great, but it was pretty small. 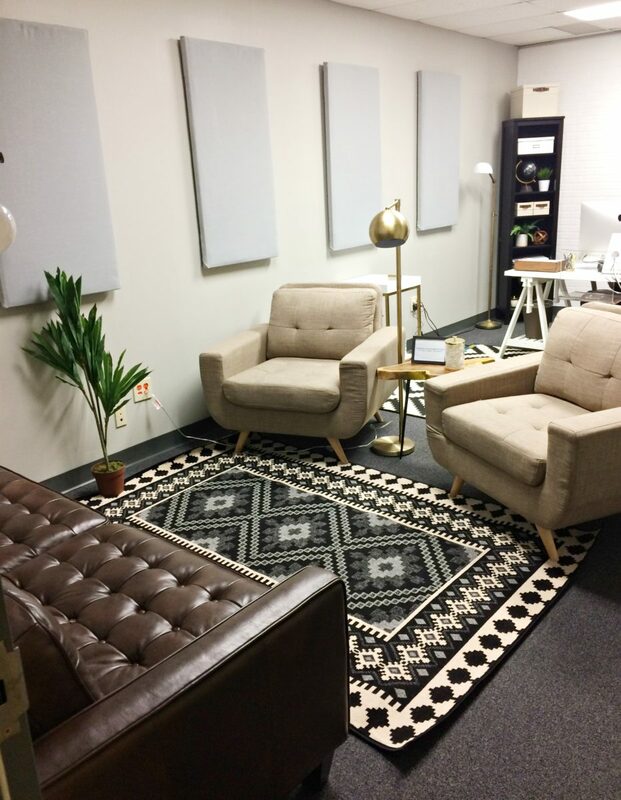 We needed a space we could use for workshops, so we just moved to an office across the hall from us. It’s still not huge, but we want to keep our workshops and group classes small, so it will work. 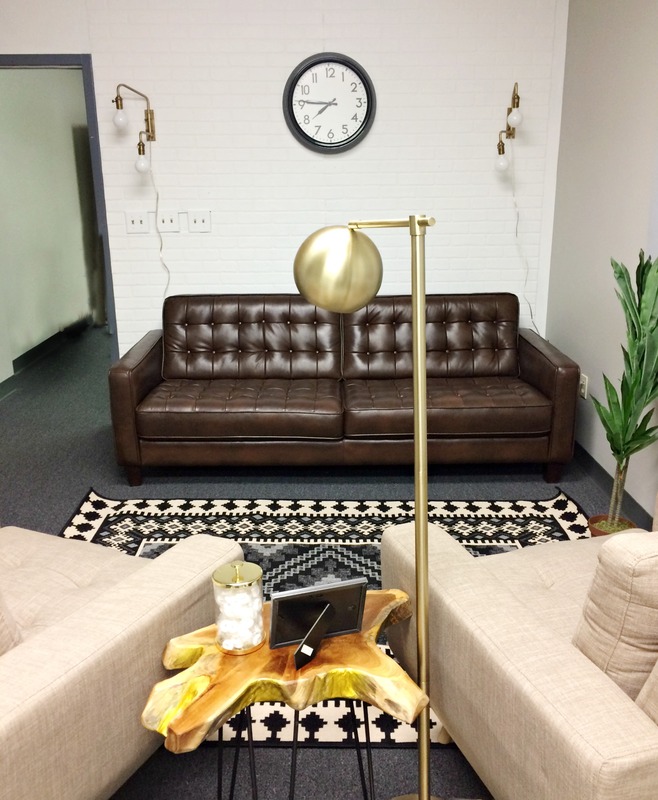 We’re really excited to have this new space to host more learning opportunities for you! Stay tuned for more news and tips.